There are things in this world that we can't stop laughing, feeling sad, smiling whenever we think about it. Complicated things that are somehow difficult to share or to explain to others. About these things, I always feel happy when I think about my favorite cat Sassy, she lived with me for 16 years but I also always feel sad with the fact that she's not with me anymore. 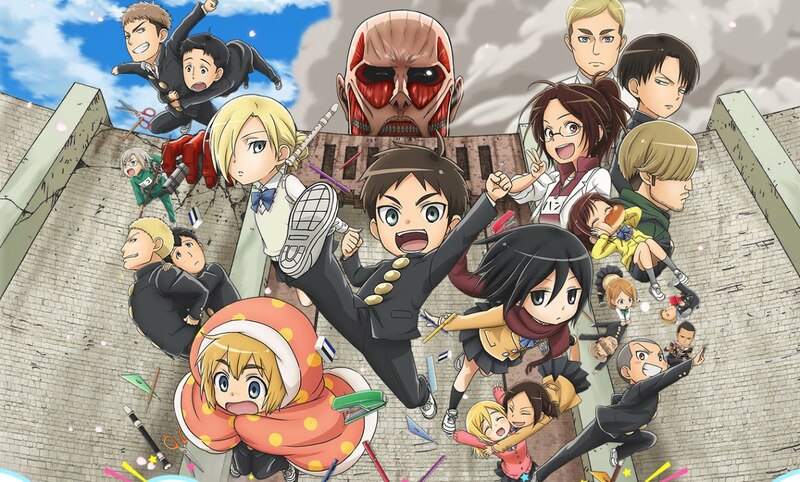 Aside from my cat, Attack on Titan or Shingeki no Kyojin belongs to one of those things. This franchise never ceased to amaze me, not only the main manga and animated version of it but also the spin-off series of it such as Junior High. Junior High is the first spin-off series to be adapted into anime from the said franchise. The talk was real about this adaptation and of course, I won't let the chance slip away not to watch this one. From the first episode down to the last episode of Shingeki! Kyojin Chuugakkou, I never stopped smiling while watching it. Although I have read the plot content from the manga, I never thought that I would have so much fun to have another ride as an Attack on Titan fan. Just like the first anime of this franchise, the animation of the spin-off also served as a promotional project for the manga. I have waited long enough for the main anime's second season and I think I can also wait if the spin-off anime would have an announcement for a 2nd release.